It allows web pages to be updated asynchronously by exchanging data with a web server behind the scenes. This means that it is possible to update parts of a web page, without reloading the whole page. send(optional string) Sends the request to the server. parameter is used for POST requests. readyState "Holds the status of the XMLHttpRequest. 4: request finished and response is ready"
status "Returns the status-number of a request 200: ""OK""
when GoSub and Return are matched. Unlike For/Next, While/Wend, and Function...End Function, which are matched at compile time. If variable exceeds the limit then it considers as overflow. i.e integer value more than 32767. Occurs in assignment, calculation, data type conversion. Close any unnecessary applications, documents, or source files that are open. Break large modules or procedures into smaller ones. This doesn't save memory, but it can prevent hitting 64K segment boundaries. Reduce the number of Public variables. when array is redim, sometime it happens. Note that not all arrays can be redimensioned. This post is all about decoding bai file type. so that any application can be developed convert bai file type to csv or any. csv file is nothing but comma separated values, a simple file format used to store tabular data like spreadsheets. Prior to that, what is bai file type? bai is a file type (.bai extension) used to balance report in banking industry. Technically .bai is just a text file with respective delimiters called codes. Though comma is the column separator, the .bai files are typically formatted in such a way to represent other information using the prefix numeric code with every newline. The first two digits of each line is the standard code for each line type to tell the system what type of line it is. The file header marks the beginning of a file. It identifies the sender and receiver of the transmission, and it describes the structure of the file. The group header identifies a group of accounts that are from the same originator and includes the same as-of-date and as-of-time. This record identifies the account number and reports activity summary and account status information. Summary information may be accompanied by an item count and funds availability distribution. This record is used for transmission of detail transaction information. Transaction detail may include two reference numbers and a free-form alphanumeric text. A Continuation record is used when data exceed the maximum physical record length, or whenever it is desirable to continue data into an additional record. It may follow any record type, including another “continuation” (88) record. This record provides group control totals. This record provides file control totals. It contains sender, receiver alphanumeric identifiers, File created date in YYMMDD format, File created time, file identification id, number of characters, block size, version number. It contains receiver identifier, originator identifier, status, date, time, currency code. It contains Transaction type code, Amount, fund type, bank reference number, customer reference number, Text. Among transaction type code 010 to 099 are reporting purpose. 100 to 399 type codes indicate Credit transaction. 400 to 760 indicate debit transaction. A bai file should starts with 01 & ends with 99 code. It can have multiple groups starts with 02 & ends with 98 codes. Account details should be inside the group header. 16 indicates all type of Transaction details when the information is large than the continuations will be present with 88 code in next line. Manual Testing is the process of testing a software manually. when there is requirement for GUI testing then one of the best solution is CodedUI. since it is Microsoft stack and integrated in visual studio. Visual Studio 2010 Ultimate/ Premium has codeUI option where user can test the performance of graphical user interface. CodedUI tests provide functional testing as well regression testing. To start a new test project, go to File -> New -> Project. In the New Project window, select the Test Project template from Visual C# ->Test and select the OK button to create it. Click the Generate Code button in the Coded UI Test Builder to generate a test method and give custom name and click "add and generate". Now code is recorded. Let's now create an assertion that will check the value of Name. To create an assertion, press the third button in the Coded UI Test Builder and To identify a new control, drag the crosshair onto the control or hover mouse over the control. After releasing the mouse button, an Add Assertions window is displayed allowing you to add assertions. Assertion added for the Name for inner text properties. Click the Generate Code button in the Coded UI Test Builder to generate an assertion method. If we need to run the test for multiple inputs then need to add parameter values form data source. Open properties window to add data connection string.Test ->TestView right click on codedUi test method and open propeties. select Xml file. Contains the coded UI test class, test methods and assertions. We can modify it. Contains the XML model for the UIMap class, including all windows, controls, properties, methods, parameters, actions, and assertions. This file is not directly editable. But the Coded UI Test Builder helps to modify the existing test which will automatically modify the UIMap.uitest and UIMap.Designer.cs file. Contains the code representation of the XML contained in the UIMap.uitest file. Do not edit this file. Contains more of the code for the UIMap class. You can put any customizations for the UI map in this file. Keep monitoring and prioritizing the mails are big challenge when you work with busy Mailers. 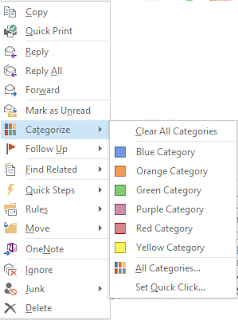 In this post, I would like to bring you some suggestions/idea to manage the mails especially Outlook. Controlling time-wasters and focusing on important tasks will lead to achieve long-term goals. Whenever you read an email, flag it or decide what action or response it needs. Instead of reading it again, do at first time. Don’t read first few lines and keep it for later reading. It kills your time. 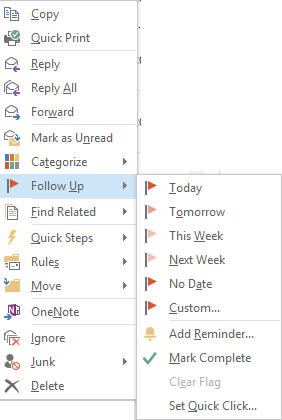 Prioritize the task by reminders or Follow up flags. One of the best way to manage your work mailbox is to create rules. 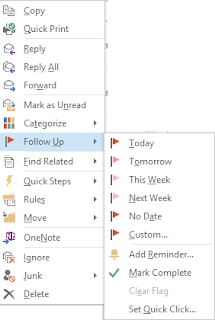 If you receive multiple emails from various senders and which you don’t want to miss ever, you can create a rule and move these e-mails directly to a designated folder. 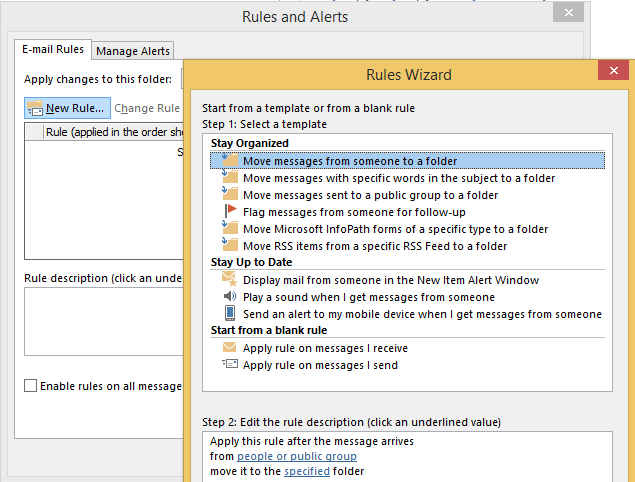 Rules can be created for all mails from particular sender or particular keywords or particular scenario to push it in particular folder or make alert or custom reply. This will help to focus attention for a particular sender. Art of search is one of the key aspect in Digital world. 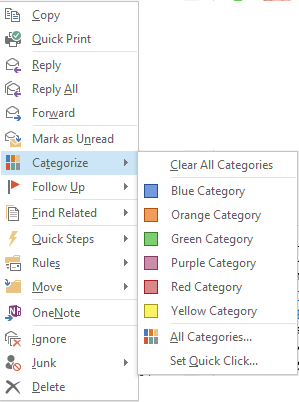 Here in Outlook, when you click the search box, Outlook brings the SEARCH tag with multiple feature. If you click Has Attachments, it will brings you the mail with attachment. It gives options of search by From sender name or Subject. Unread emails can be grabbed quickly here. We can set chronological limit for the search. Your recent search strings can be reused or viewed in “Recent Searches” Option. Though not every email seeks the reply, however important mails are looking for your response. So it is advisable to keep responding to the mail so that reminder mails will be avoided. Keep using Out of Office features so that senders can understand and act accordingly. For critical mails, set auto replies like “working on it” so that send keep wait till your response. It provides a high availability, low latency resource for delivering scripts to websites. It hosted Libraries including jQuery, AngularJS, Prototype and Dojo. images, multimedia files without delay. If you are against FreeBasics of Facebook because of OTT Price or Facebook company or Modi government or as a competitor etc., then this post will not entertain you. But If you are against FreeBasics of Facebook only for Netneutrality please read further. Let us consider facebook as a company without any pre assumption. Actually Net neutrality is nothing but transparent equal access for all internet data. Definitely it should not mean equal pricing, there can be price variation on various socio-economic reasons. watching an entertainment website and downloading a study material should not be priced equally on data. When we oppose rigidly on free basics and support for equal pricing, then students and knowledge seekers are affected when prices were hiked. There are many baseless rumours like free services will create monopoly, suppress start-ups, price hike and more. However If we are really worried about the operating company, then we should draft a regulation laws instead of banning free services.